What does Mainstreaming Reiki mean to you? As Reiki practitioners, I think we all have a desire to share the gift of Reiki with our families and communities. We want everyone, without exception, to have the opportunity to learn about Reiki and experience its benefits. Thankfully, we live in a time when there are abundant opportunities to share Reiki in a wide range of settings in our communities and we can do this as volunteers, Reiki teachers and professional practitioners. My practice is based in a very busy midtown wellness center where a wide variety of services, classes and events are offered. Many of the clients are partaking of our services as an adjunct to their medical care, often on the advice of their doctors. I have also been providing Reiki and ear acupuncture at the Lower East Side Harm Reduction Center for five years and I am the Reiki team leader for the monthly free clinic for recovery from addictions at Third Root Community Health Center in Ditmas Park, Brooklyn. In addition to this, I am one of the founding members of Healer2Healer, a group that has brought acupuncturists, Reiki practitioners and body workers to Guatemala and Peru where we have have provided under-served indigenous populations with free community clinics and training in Reiki, ear acupuncture and Chinese medicine. In order to mainstream Reiki, we need to find venues in our communities where the need for and value of Reiki is both recognized and welcomed. The opportunities to do this are increasing exponentially as more and more people from all walks of life experience the benefits of Reiki. This is happening in a wide variety of settings including hospitals, hospices, wellness centers, community clinics, private treatments, Reiki circles and Reiki classes. I see a bright future for Reiki and I am especially excited about the prospects for more abundant support and funding for holistic and integrative low-cost community clinics as we shift into a more benevolent economic paradigm. The conference is this Saturday, September 22! Reiki practitioner/teacher and Christian Brother, Bill Stevens, will be the conference’s sixth and final speaker of the day and will present, “Reiki at the End of Life”. Bill has been involved in hospice for well over 30 years, and will use his extensive experience to provide insight and guidance for being with both people and animals at the end of life. Speaking fifth will be Kim Fleisher, director of the Reiki School and Clinic in Philadelphia, PA, who will discuss “Creating a Lasting Reiki Community”. 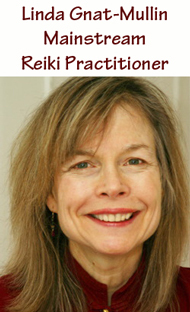 Kim will share her secrets for starting and building your own successful Reiki practice, share, or mainstream program. 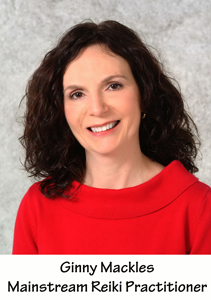 The first speaker in the afternoon will be research scientist and professor at the University of Connecticut, Gloria Gronowicz, PhD. She will present, “Effects of Human Biofield Therapy on Cancer Cells”, in which she will discuss the results of her most recent biofield study. Yes, scientific evidence exists! Mainstreaming Reiki means bringing the practice of Reiki into expanded public forums. Continuing to demonstrate that Reiki is a viable support to all in every walk of life. I am grateful to be practicing Reiki every day of my professional life. As a Psychotherapist, holding a license in Mental Health Counseling, nearly 80% of the clientele in my private practice receive Reiki as part of their session. Clients report relaxing with Reiki at the end of a session helps them integrate the insights gained from the work. I witness that they are typically able to move through life’s challenges with much greater ease and less time then with traditional talk-therapy approaches. Most ultimately choose to learn Reiki. As a speaker at the annual After Loss Conference in Stamford, Connecticut I demonstrate Reiki as a support during the grieving process. We have an entire room of volunteers offering Reiki to those experiencing grief. I have presented Reiki at the Global Community for Integrative Medicine Conference in Tuscany, Italy as well as numerous television appearances, most recently on “Your Health Today”. I’ve also extended my practice into the mainstream by creating a CD, The Reiki Journey: Guided Meditations for Mindful Living that is available to practitioners globally, and also serves as an introduction for those new to Reiki. Stay in your integrity. Build credibility for the Reiki Community by being credible in your words, actions, and promotions. Be clear about the facts of what Reiki is and the research that supports it. Uphold a positive and professional example as a Reiki practitioner. Educate and offer Reiki to those open to it. Share how Reiki has supported you in your life. What do I see on the horizon for Reiki? Our local Northern Westchester Hospital offers Reiki readily to patients and I am inspired to see many hospitals doing the same. I believe we will see more healthcare providers becoming Reiki attuned. More therapists in my area are asking for Reiki training. Reiki will continue to spread. Renowned international Reiki teacher, practitioner and author Frans Stiene will be delivering the keynote presentation, “The Simplicity of Reiki”. You might know Frans as co-author with his wife Bronwen, of the Reiki Sourcebook or through their website, the International House of Reiki. Frans is a dynamic speaker who will be offering an experiential element during his talk. So sit back and get ready to feel the Reiki flowing! We’re very pleased to have the conference’s second speaker, Robert N. Fueston, who will be presenting, “Reiki 2 vs. Master Level: Historical Events”. Robert has studied with and interviewed many of the Reiki teachers trained by Mrs. Takata, and will be discussing information that has not yet been made public, which will be included in his upcoming book. He is also expected to bring with him Reiki artifacts pertaining to Mrs. Takata. 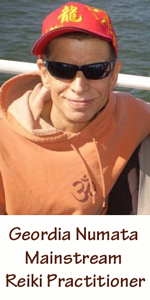 The 2012 NY Reiki Conference: Mainstreaming Reiki is fast approaching, and below is a podcast description of the conference’s first presentation, “Optimizing Surgery with Reiki” by Sheldon Marc Feldman, MD. Dr. Feldman is Chief, Division of Breast Surgery, NewYork-Presbyterian Hospital/Columbia University Medical Center hospital. We’ve spoken with Dr. Feldman and are really looking forward to his presentation. NY Reiki Conference: Welcome from Inoshi and Dave! Welcome to the 2012 New York Reiki Conference! We are excited about the extraordinary group of speakers that has come together, and below is more detail on the agenda. Sheldon Marc Feldman, M.D., Chief, Division of Breast Surgery at New York-Presbyterian Hospital/Columbia University Medical Center will be presenting, “Optimizing Surgery with Reiki”. Dr. Feldman welcomes healers into the operating room, and has even asked on of his patients to discuss her experiences at the conference. Robert N. Fueston, a Reiki historian, will discuss, “Reiki 2 vs. Master Level: Historical Events”. Robert has studied with and/or interviewed almost all of Mrs. Takata’s master students and will be discussing information from his upcoming book covering the two waves of Takata masters, before and after her initial retirement. For non-Reiki practitioners, an “Introduction to Reiki” presentation will also be available at this time. Frans Stiene, internationally renowned Reiki teacher and author will be delivering the part experiential, part informational Keynote Presentation, “The Simplicity of Reiki”. Frans and his wife Bronwen were two of the first to document mainstream Reiki practitioners around the world through through their podcast interviews, and Frans continues to pursue knowledge of the history and spiritual practices surrounding Reiki and the power within its simplicity. Gloria Gronowicz, Ph.D. will be speaking about the “Effects of Human Biofield Therapy on Cancer Cells”. Well known for her study documenting the effects of Therapeutic Touch (energy therapy) on human bone cells, Dr. Gronowicz will be discussing her most current research on breast cancer and biofield therapy. Kimberly Fleisher, director of the Reiki School in Philadelphia, PA will speak about, “Creating A Lasting Reiki Community”. Many Reiki professionals struggle with creating community, building their practice, and integrating Reiki into the mainstream. Kimberly will outline The Reiki School + Clinic’s key secrets for developing lasting Reiki community and highlight how this 13-year old model has helped propel the school into mainstream integrative care in Philadelphia. Bill Stevens, a member of the Congregation of Christian Brothers, has worked with hospice families for well over 30 years and will discuss, “Reiki at the End of Life”. A former hospital chaplain, Bill currently works with the Visiting Nurse Association of Central New Jersey, and in 2010 was awarded Hospice Reiki Practitioner of the Year Award by the New Jersey Hospice and Palliative Care Organization. 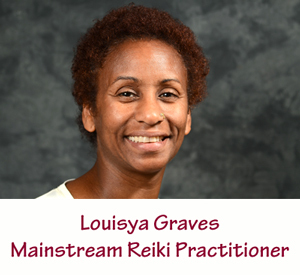 Mainstream Reiki to me is Spiritual Activism in practice. When I offer Reiki in community settings, I witness the gratitude of those who receive Reiki. My body, heart and mind becomes renewed, I find my networks expanding and I develop deeper, more loving relationships with the communities I offer sessions to, and find myself completely blessed and peaceful. Integral Yoga Institute NY and Third Root Community Center in Brooklyn, NY. Both places are very active in community service. Integral Yoga provides discount services and classes for people with Cancer, Multiple Sclerosis, 9/11 1st responders, HIV, Veterans, people who lost their jobs, Children. Etc. Third Root strives to thrive and achieve social justice and community wellness by providing holistic, collaborative care in an accessible and sustainable manner. Both places provide me with loving support and show me how necessary and welcomed Reiki is in community settings. I am a Reiki practitioner at Integral Yoga’s Wellness Spa, and a Reiki volunteer at Third Root one Saturday a month. To mainstream Reiki, what steps would you suggest to the Reiki community? Volunteer to give Reiki in every type of community service where you live. Schools, hospitals, community centers, senior citizens centers, police stations, churches, veterinarian hospitals, shelters, block events, health fairs, etc. Allow yourself to be known by people who live and work in your communities, not only just as a Reiki practitioner but as a person who truly cares and can be relied upon in times of need. Share of yourself and your life and allow people to share their stories and their lives with you. Become a social advocate of Reiki, compassion and love. I see Police and Fire Departments offering Reiki as part of their training. Reiki being taught in every grade in schools. Doctors, nurses, ministers, social workers and counselors attuned as Reiki practitioners. Parents giving Reiki to their children and children giving Reiki to their parents. Reiki everywhere, loving everyone and everyone loving Reiki. Mainstreaming Reiki means recognizing that nearly the entire population can benefit from Reiki, and removing the barriers to providing it. In the corporate world, every individual in a company who meets the public can influence a consumer’s perception of the total company for better or worse. The same applies to Reiki. New York City Hospitals (staff and patients); Cancer Care, Inc.; The New York Medical Examiner’s Office after 9/11; Packer Collegiate Institute; Doo-Wop Rock & Rollers at Madison Square Garden; Fortune 500 Companies; The New York Consortium for Youth Development; the United Federation of Teachers. I would suggest paying attention to the person in front of you and seeing how you can truthfully present yourself and Reiki in a way they can understand and appreciate. For my Reiki Level I class, at times, I have hired actors who have experience portraying “standard patients” at medical schools to portray a mainstream individual such as “Susie in Accounting,” or “Arnie in Finance” and let my students learn to present themselves as practitioners. In my own experience at Cancer Care, Inc., where I’m on the Visiting Faculty, my students have gone in a little over a decade from: “What is this thing called Reiki? How do you pronounce it?” to “Yep, we’ve all had Reiki. We like it.” Everybody gets what it’s about. I see in the next five to ten years that potentially Reiki will be as well accepted in the health care community as acupuncture is now. The time frame really depends on the individuals involved in the field and how we present this beautiful modality. It’s really up to us.